We love Captain America and the rest of MARVEL's The Avengers! 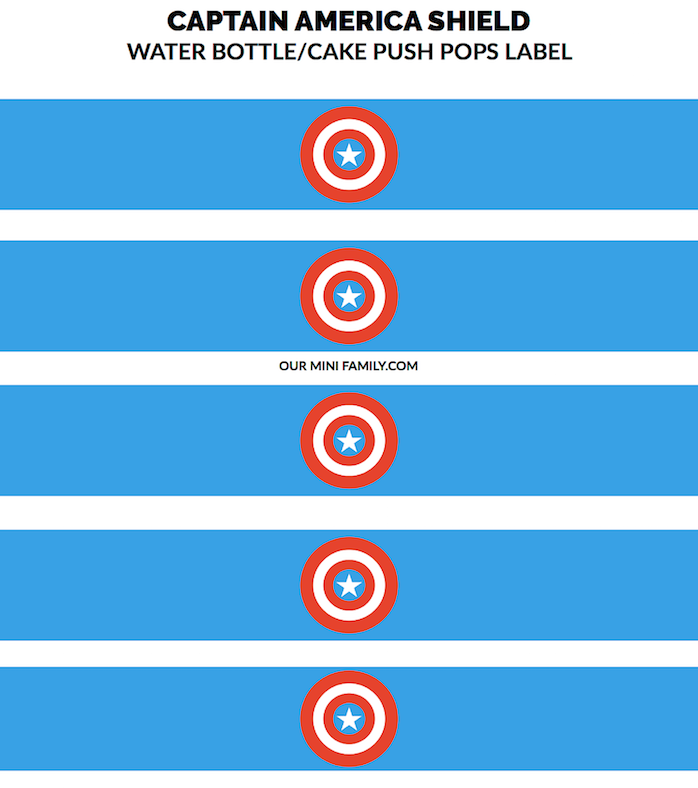 Download our FREE, Captain America Shield Printable for your next MARVEL's The Avengers party! This printable is perfect to wrap around standard-sized water or soda bottles, cupcakes, candy bars, cake push pops, you name it! In addition to sharing the free downloadable printable featuring one of our favorite superheroes, be sure to check out a handful of other awesome recipes, DIY tutorials, and projects inspired by The Avengers! 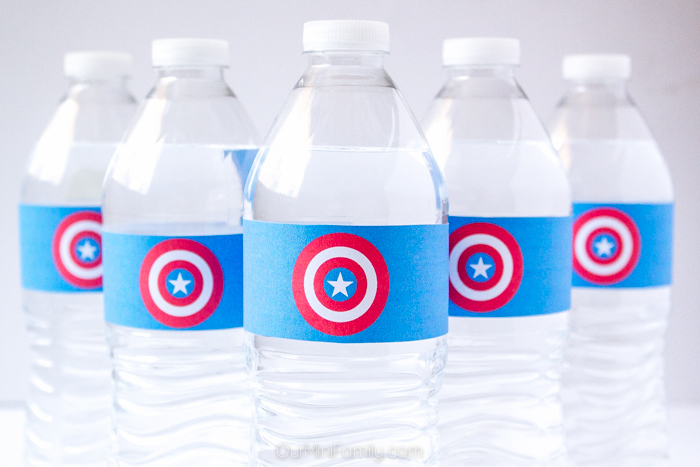 Check out MORE awesome Captain America Party Ideas, Recipes, and DIY Tutorials below!